Editor's Note: Copper-based fungicides play a decisive role in controlling bacterial diseases, whether evaluated in efficacy or market shares. At the same time, copper-based fungicides show high efficacy against some fungal diseases such as downy mildew, alternaria leaf spot and brown blotches in fruits and vegetables crops. Due to the advantages of eco-friendship, relative safety, rare resistance and usage in organic agriculture, copper-based fungicides have steadily retained the sixth position among all fungicides. 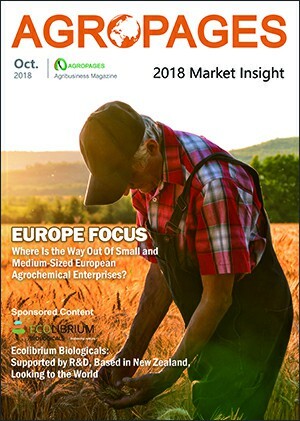 Accordingly, AgroPages recently came up with a special topic surrounding copper-based fungicides/bactericide products and invited some key players in this field to share their views over the global market landscape, product series, core strengths, application situation, as well as future development prospects. The participating companies include: Spiess-Urania Chemicals GmbH, Nufarm, Quimetal Industrial, Industrias Químicas del Vallés (IQV) and Shyam Chemicals. Q1: Could you briefly introduce your company’s development history, global layout and the future development planning in the field of copper-based products? Spiess-Urania Chemicals GmbH: For more than 200 years Spiess-Urania Chemicals GmbH has gained experience in offering a wide range of different high quality copper salts to customers all around the globe. The portfolio varies from highly advanced ready formulated products, based on copper hydroxides and copper oxychlorides for fungicidal and bactericidal use in agriculture, right through to copper oxides and copper carbonates for use in many specialized industrial markets. 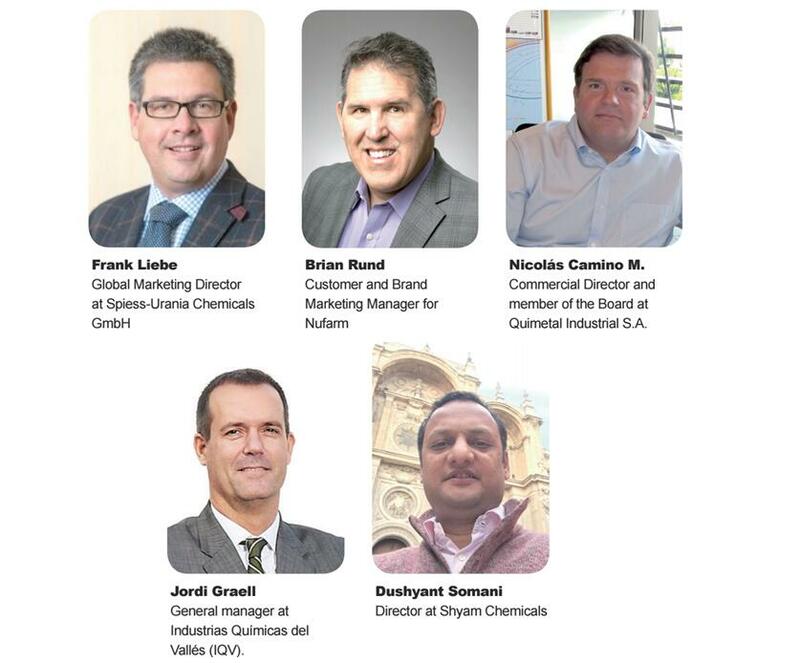 Since the acquisition of the Kocide business in the USA by Mitsui Co., Ltd. in 2014, Spiess-Urania Chemicals GmbH is more recently taking the functional leadership of these two copper producing entities. This global copper strategy stems from Mitsui’s interest in sales and marketing of crop production products, but it is now vertically integrated with Spiess-Urania Chemicals GmbH and Kocide LLC jointly producing and selling products into agricultural markets in more than 60 countries, with products labeled for use in over 100 crops. The joint copper portfolio of Spiess-Urania Chemicals GmbH and Kocide LLC with their own manufacturing facilities in Hamburg (Germany) and Houston (USA) is now the leading manufacturer and marketer of copper fungicide brands across the world, especially copper hydroxides based products. Spiess-Urania Chemicals GmbH will increasingly take the lead in the marketing and sales of the joint portfolio for both companies, in order to ensure synergies and to further strengthen its position in the market. We are continually working on ways to improve the quality of our formulations, while also looking for new and different possibilities to improve the efficacy of our products with reduced levels of applied copper; be that through new formulations, new mixtures or the use of new additives. Nufarm: We have been a major player in the copper segment globally for nearly 20 years. Our wide range of copper products includes both copper hydroxide and tri-basic copper-based products, formulated to meet varying needs around the world. Our offer includes high-metallic load WG; dust-free, easy flowing Dry Prill; convenient flowable offers, and our flagship brands, Cuproxat® and ChampION++™. Major markets include grapes, citrus and tree fruit crops, nuts, sugar beets, potatoes and many others. We are the leading copper supplier to Europe, where wine grapes form the major sector; in North America, where citrus and walnuts are key markets, we also maintain a very strong position. IQV: IQV was born in 1935 in Barcelona as a family business. Present in more than 60 countries, we currently have more than 450 phytosanitary records worldwide and are part of the MAT Holding business group, active in the agriculture and water management sectors. At IQV, we are specialists in fungicides with a powerful bactericidal effect and we know first-hand the needs of the sector thanks to our profile and agro-industrial vocation. We know what has led us here—the use of copper—an element originating from nature that, synthesized, is considered one of the best and most used fungicides of bactericidal effect in history. The action of copper compounds is based on the slow and constant release of the copper or Cu2+ ion in contact with water, which gives the cupric fungicides a contact action. When it is applied preventively, it acts as a protective barrier on the surface of the crop against the attack of the endoparasitic fungi and it is then that the copper ions are absorbed by the spores of the fungus and the bacteria, until they reach their total inhibition. This multi-site action of copper is exerted in several processes controlled by different genes, in such a way that the appearance of the phenomenon of resistance is very improbable. We have important plans for copper products, that we will inform to our customers and the market in the coming months, but the goal is to increase our market share in the markets we currently serve, and to be more present in the market where we are starting sales. Our company is located in the world’s main copper producer country, which permits to have availability and very high quality raw materials. Shyam Chemicals: Shyam Chemicals was established in 1972 and today manufacturers a range of copper chemicals with various applications. Copper Chlorides in pigments and silicones. Copper Oxides and Copper Carbonates in wood preservatives and micronutrients. Copper Oxychloride, Copper Hydroxide, Bordeaux Mixture, Tribasic Copper Sulphate and Copper Sulphate Pentahydrate as Copper Fungicides. This differentiates us from other global copper fungicides players who are mainly focused on copper compounds used in agriculture where our is focused on several copper compounds used across several sectors. Q2: Could you talk about your company’s product line of copper salts & special strengths? What are the company plannings to launch new products and extend new markets? Spiess-Urania Chemicals GmbH : The portfolio of Spiess-Urania Chemicals GmbH and Kocide LLC is offering, especially its copper hydroxides in different active concentrations, a range of modern, efficient state of the art formulations (WP, WG and SC), also well-known through its famous brands FUNGURAN® and KOCIDE®. This allows the ability to offer special solutions for different customer’s needs, considering also the increasing environmental requirement to reduce the amount of copper applied, through very efficient formulations. Specifically, the high efficacy of copper salts from Spiess-Urania Chemicals GmbH and Kocide LLC formulations, with their lower application rates can be seen as a major benefit to customers who use our modern copper fungicides. Considering the unique characteristics of copper based fungicides, with their multi-site contact activity, copper salts are a very important and valuable tool in contemporary fungicide spray programs and they will continue to increasingly gain more importance in sustainable integrated pest management practices, as resistance will continue to develop to many synthetic chemical compounds. Spiess-Urania Chemicals GmbH is constantly working on new products, based on different copper salts to fulfill market needs around the globe for efficient and sustainable agriculture. Nufarm: Our extensive formulation chemistry capabilities have allowed us to introduce novel formulations that improve coverage and residual activity to allow our customers to get better results, often while using less overall metallic copper. Our Cuproxat® brand is a good example – its unique combination of copper salts and extremely small particle size, along with the unique needle shape, create a more effective barrier against disease than any other copper. All coppers work via direct contact with the disease organism; so improved coverage leads to improved control. As an added bonus, Cuproxat qualifies for listing as an organic pesticide in some countries. In dry formulations, our ChampION++™ also excels in providing better coverage, with copper ions that provide some three times the coverage of similar competitive offers. Nufarm development work on copper is focused on catalysts – compounds that in some way make copper more active and effective. We have a number of exciting products in development and look forward to maintaining copper’s vital place in crop protection for many years to come. Quimetal Industrial: Quimetal is a private Chilean company dedicated for more than 68 years to the manufacturing of a complete range of copper and Sulphur fungicides, including copper hydroxide, copper oxychloride, cuprous oxide and Bordeaux mixture, in formulated and technical forms. Our products are sold in the five continents with an important market share in America and Europe. Our goal is to increase our participation in the African and Asian market through alliances with important companies. We are optimistic about the future of copper due to the wide use of it and the increase of organic agriculture. More than new players in copper production, we see more interest in agrochemical companies for the use of copper fungicides combined with their own molecules, to decrease the appearance of resistance of their own products. The most important features of our products are the very low heavy metals contents, the WG formulation and flexibility in packaging. Due to our free economy and the free trade agreements signed by Chile, we can sell our products in the main markets, without duties and very fast delivery. China represents our most important challenge for our copper products. We have been very successful in the market for more than 5 years, with customers that value the quality of our products, outstanding the low content of heavy metals and excellent formulations. We are optimistic about this market, that demands high quality products. IQV: IQV, as manufacturer specialized in copper-based fungicides, offers a catalog of products of the highest quality to ensure plant health through the main copper salts: Bordeaux Mixture, hydroxide, oxychloride and copper sulphate and also their mixtures with other active substances through our flagship brands: Bordo®, Vitra®, Curenox® and Cupertine® respectively. In response to other agricultural production systems, we also introduce a new line of Biofungicides and Biostimulants to respond to new market trends. On the other hand, and as a result of our experience in the manufacture of copper-based products, we diversify our offer to other product categories by incorporating a line of additives for animal feed. This is how IQV, through our know-how and experience, over the years, has also made a horizontal integration of the business to offer complete services of toll manufacturing, logistics and physical-chemical analysis in our two laboratories in Barcelona and Valencia, with the aim of providing our customers with solutions as adapted to their needs as possible. IQV is a company with a clear agricultural vocation and the closeness with collaborators, farmers and the field, has allowed us to maintain a real vision of their needs to offer solutions adapted to the daily challenges they have to face and to the new market trends. This allowed us a few years ago to incorporate a new range of Metalaxyl-based systemic fungicide products, with which we completed our offer of solutions to combat diseases such as Mildius, which causes major problems in crops of great economic importance at the global level. On the other hand, our R&D team reinforces our positioning by developing new molecules in collaboration with distinguished universities in the country. Q3: What are your main challenges in the course of development and marketing of copper salts? How did you tackle them? Spiess-Urania Chemicals GmbH: Especially in the EU the strong demand to reduce copper input to the environment is a major challenge not only for Spiess-Urania Chemicals GmbH, but also for all copper salt producers. However Spiess-Urania Chemicals GmbH and Kocide LLC are well positioned, as we have substantial experience in development and formulations that maximize the efficacy of copper ions in our products. Additionally, a must is to also have a strong and experienced regulatory team, ready to meet the various requirements from different countries around the globe. Providing quality products and great customer service is our first priority and this has been recognized by our clients over many years. Nufarm：Perhaps the major obstacle we faced is the sheer size and diversity of the copper market. It’s a product that is used on hundreds of crops and sites, virtually everywhere crops are grown; so matching our products to the specific needs of a fresh-market grapefruit producer in Brazil or the Unites States versus a wine grape grower in France has required us to be agile in our formulation development. Our goal is to offer the best copper solution, regardless of site or use patterns, and our extensive range allows us to do exactly that. Quimetal Industrial: The most important barrier for new markets is the registration process. We have a very complete file for each product in order to register our products around the world. This was a very important investment of our company, that allows us to be present in the main markets. Shyam Chemicals: Regulatory hurdles are the main challenges we face while trying to develop new markets for our copper fungicides. Registrations take long time periods and also generating GLP data for them is expensive... Where markets are closed due to prohibitive costs to purchase access to registration data we focus on selling technical instead of formulations since regulatory hurdles for Technical is lower.